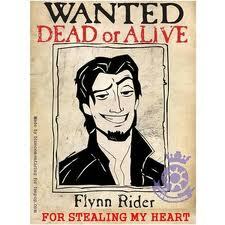 Flynn is wanted for stealing Rapunzel's হৃদয় XD. fg. Wallpaper and background images in the ট্যাঙ্গেল্ড club tagged: flynn fan art tangled disney 2010. This ট্যাঙ্গেল্ড fan art might contain নকল মানুষের, কমিক বই, কমিকস, and কার্টুন.